THE OTHER NIGHT, I left my Hanoi apartment and walked around the corner. Eateries in my neighborhood cater to middle-class Vietnamese patrons. English signs hype pizza, sushi, Tex-Mex, free Wi-Fi and pricey local specialities like cha ca — grilled fish with dill, peanuts, and sticky rice noodles. I ducked into an upscale Vietnamese restaurant with floor seating and Chinese decor. Inside, young professionals were toasting with tiny cups of rice wine. A cheery hostess said in English that the wine was home-brewed. Did I want to taste? The hostess smiled, excused herself, and disappeared into the kitchen. A few minutes later, she returned and said she was, for about $200 U.S. dollars per kilogram — more than five times Vietnam’s monthly minimum wage. Somewhat taken off guard, I quickly replied that I had already eaten but would return to try the restaurant another time. Eating tê tê — the Vietnamese name for pangolin, a scaly nocturnal mammal resembling an anteater — is a fashionable activity among some well-heeled Hanoi and Ho Chi Minh City diners. It’s also illegal under Vietnamese law and international treaty. Like other species of wildlife in Southeast Asia, the small, docile mammals are illegally trapped or killed in Indonesian, Lao, Cambodian, and Vietnamese forests. 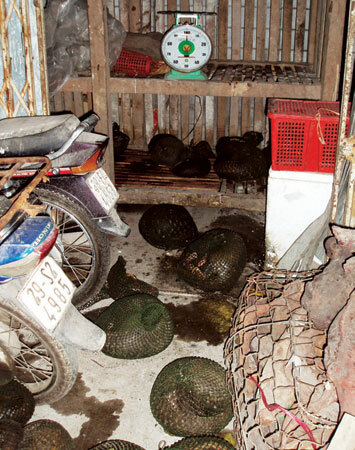 Smugglers ship pangolins to cities in Vietnam and China, where they are eaten in restaurants, used as wine flavoring, or processed into traditional medicines. Southeast Asia’s illegal pangolin trade appears to be bustling. According to the UK-based wildlife advocacy group TRAFFIC, authorities seized more than 30,000 smuggled pangolins between 2000 and 2007. Two winters ago, officers in Haiphong, a port city in northern Vietnam, seized 23 tons of dead pangolins — the remains of 8,000 animals. Pangolins weren’t always in trouble, according to Nguyen Van Thai, program officer of Vietnam’s Carnivore and Pangolin Conservation Program. 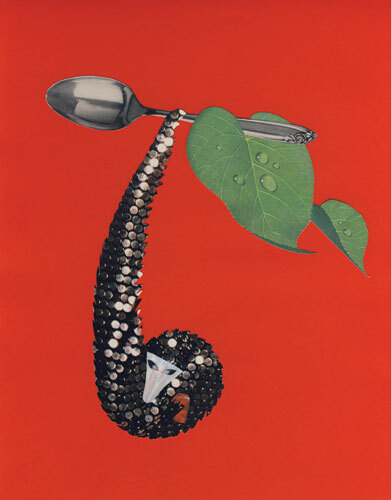 In a phone interview from his office in Cuc Phuong National Park, Nguyen told me that Vietnamese people have always used pangolins in traditional medicines but didn’t hunt them for export until the 1990s. 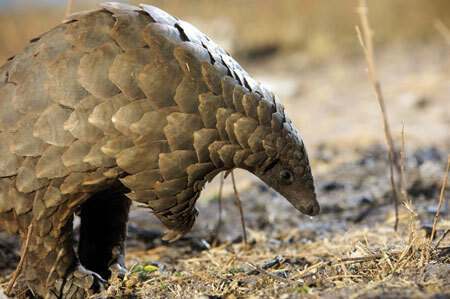 Nguyen and other experts are trying to help pangolins on several fronts. Since 2005, the Carnivore and Pangolin Conservation Program has received 27 rescued pangolins. Nguyen said the program, which has an annual budget of less than $30,000, receives grants from such diverse sources as the Ocean Park Conservation Foundation and zoos in London, Houston, and Singapore. The CPCP rehabilitates pangolins, sends e-mail updates to Vietnam- based environmental professionals, and teaches law enforcement officers how to police the illegal wildlife trade. Meanwhile, TRAFFIC and the World Wildlife Fund run an advocacy campaign aimed at keeping pangolins and other wildlife out of Hanoi restaurants. Major obstacles impede pangolin research and advocacy work. Nguyen said zoos struggle to keep captive pangolins because it’s difficult to source ants and termites — pangolins’ favorite entrées. And because zoos generally don’t fund long-term pangolin projects, he added, it’s difficult to raise money for research. Three nights after my initial visit, I returned with a Vietnamese friend to the restaurant that had offered me pangolin meat. We took our shoes off, sat at a table in the romantically lit dining room, and ordered a pangolin-free feast. Before a waitress brought our spicy beef, fried fish, boiled cabbage, and rice wine, a friendly young manager sat down to chat. The 30-something Hanoian looked more like an IT consultant than a wildlife smuggler’s accomplice. “Who buys your tê tê?” I asked. MIKE IVES is a freelance writer living in Hanoi, Vietnam, and a former staff reporter for the Vermont weekly Seven Days Newspaper.